No matter how much we are looking forward to the holiday season, some of us are aware of the favorite meals that might ruin our health goals. And this is because we don’t want to set aside our weight-loss or health goals. 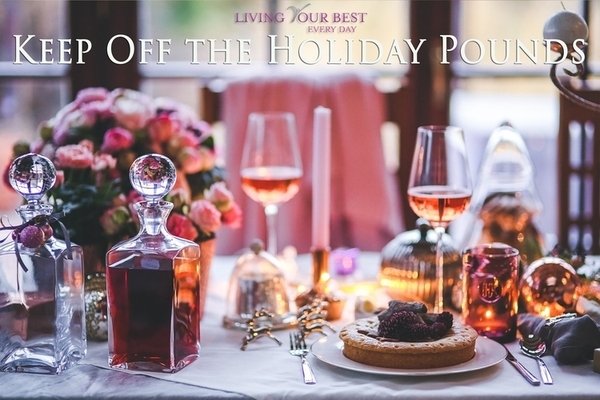 Here are some ideas that may help us not to allow the holiday parties interfere with our overall diet and get better prepared for this holiday season. Develop a plan before the holiday to help you compensate for the not-so-healthy holiday meals. Complete deprivation is not the answer. Drink a shake for breakfast (in order to minimize calories at the party) or before the big meal. Don’t let yourself think about it during the day so you won’t cut back on things you have normally. The studies have shown that goal setting and scheduling indulgence can offer flexibility while keeping you on track. (1) Also, eat a filling snack before the party to limit the calories that you will indulge with. Scheduling a cleanse day after a big holiday meal may be exactly what your body needs to get right back on track in the days following. A nutritional and detoxification support is a good alternative to normal fasting. Studies have found that calorie restriction or intermittent fasting for one or two days a week can be just as effective as daily calorie restriction (2). It can be an effective way to keep the weight off during the holidays. Place yourself as far from the bar as possible and pick the smallest plate available. Chat and socialize instead of letting yourself be distracted by the food. Indulge yourself in one treat to satisfy your craving, and perhaps skip the appetizers. Focus on the healthy snacks. Don’t forget about the water and add lemon if you like it. Choose red wine, thanks to the value of resveratrol. Pass on the rich drinks while you keep your hands busy with holding a phone or something else. And don’t forget about moving around as much as possible, and I’m not thinking only about dance! Normally, food takes the center stage during holiday parties. This might be the best time to create some healthy traditions into the day. Work up an appetite by adding a physical event like a race or an active game of football in the backyard, or even a walk outside before serving dessert. Staying on track during this holiday season can be hard, but having a plan that allows a bit of deviation without going overboard can prevent the risk of gaining too much weight. Make your plan now and celebrate this festive season with friends and family!